As I’ve explained many times my Retirement Investing Low Charge Portfolio has both a Strategic and Tactical Asset Allocation associated with it. The construction of this portfolio can be seen here. The tactical element is an attempt to squeeze some more performance from the portfolio however I want to monitor the return of my total portfolio carefully to ensure that I am not under performing a simple stocks/bonds allocation. After all why put all the effort in and then under perform. I must admit that since I started this blog I have made a real mess of calculating the return on my portfolio plus also getting sensible return estimates from a simple stocks/bonds benchmark. I’m therefore going to revisit this to show what I have learnt up until today plus also calculate my returns since the start of 2008. I will then compare this to my Benchmark Portfolio which I am trying to beat (or hopefully at least match) over the long term. This was fine for a quick update however given that I am making very large contributions each month in my endeavour to retire in 7 years it is not such an accurate measure to use when bench marking myself. This is because as you can see from the formula in a rising market I would overstate my performance as the new money entering the portfolio earns interest or dividends but does not get included in the assets part of the calculation. Similarly in a falling market I would understate my performance. Following plenty of internet research I then started using the mid-Point Dietz method. While being approximate this looked a lot better than I the method I had previously used and so I went for it. PRR (Personal Rate of Return) = [(1+XIRR Annualised Return)^(# of days/365)]–1. So for annual returns I now use XIRR and for year to date (YTD) returns I am then correcting with PRR. Easy eh? Now let’s discuss the Benchmark Portfolio that I am using to ensure I am on the right track. I’ve picked about as simple fund as possible. It is simply 28% bonds and 72% equities in line with my risk profile as discussed here. I will decrease the risk profile of this benchmark annually on my birthday by moving 1% from equities to bonds. 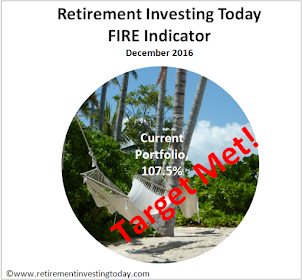 This is consistent with the approach in my Retirement Investing Today Low Charge Portfolio. Additionally I assume that the stocks/bonds ratio is rebalanced at the start of each year. The bond fund that I have chosen is the iBoxx® Sterling Liquid Corporate Long-Dated Bond Index total return (capital & Income) index. 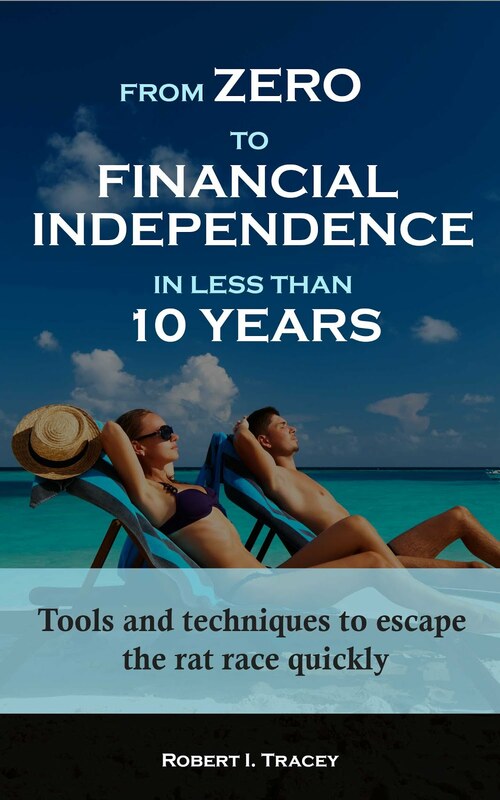 The equities fund that I have chosen is the FTSE 100 total return (capital & income) index. I obtain the performance data for this Benchmark Portfolio from the iShares website which always compares the performance of their Exchange Traded Funds (ETF’s) with a benchmark. Therefore if you look through the ETF’s on offer different benchmarks can be found including these 2 indices. Finally let’s have a quick look at how my Low Charge Portfolio has performed. 04 January 2008 to 02 January 2009. During this period my risk profile was 27% bonds and 73% equities. My Low Charge Portfolio returned -12.0% which would have meant that £100,000 invested at the start of the year would have been worth £87,978 by year end. In comparison the Benchmark Portfolio returned -20.8% which would have meant that £100,000 would have been worth £79,224. I must admit here that I also received plenty of luck. This was the period I was mechanically building the basic Retirement Investing Strategy platform which seemed to luckily allow me to sell some equities, as I wanted to move to different equity funds, just before some of the market falls allowing me to be out of the market for some of these periods. 02 January 2009 to 31 December 2009. During this period my risk profile was 28% bonds and 72% equities. My Low Charge Portfolio returned 22.8% which would have meant that 2008’s year end £87,978 would have been worth £108,016 by the end of 2009. In comparison the Benchmark Portfolio returned -20.4% which would have meant that the £79,224 would have been worth £95,401. 31 December 2009 to 04 June 2010. As I don’t celebrate a birthday until later in the year my risk profile is still 28% bonds and 72% equities. My Low Charge Portfolio has YTD returned 2.1% which would have meant that 2009’s year end £108,016 would now have been worth £110,300. In comparison the Benchmark Portfolio returned -0.3% which would have meant that the £95,401 would now be worth £95,099. So I’ve had some luck but so far the strategy looks to be squeezing me some extra performance. Only many years are going to tell me if my strategy really works though. I’ll keep you updated.